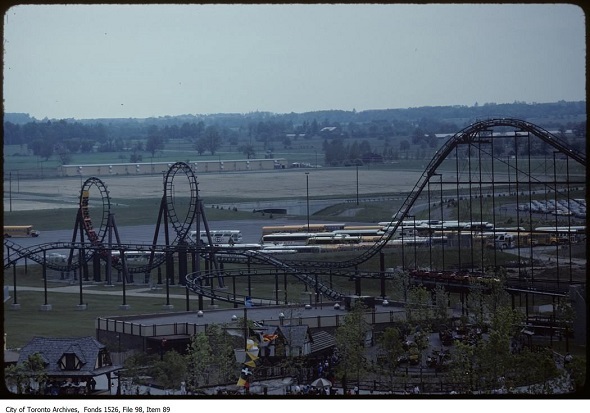 Canada's Wonderland shock and awed for the very first time on May 23, 1981. 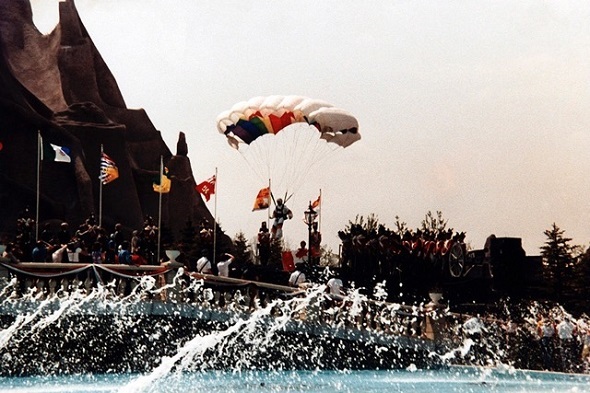 A wave of giddy publicity crested as Canada swooned for its first ever theme park - a 370 acre nirvana of wild rides, colourful fancies and family entertainment located in Vaughan. 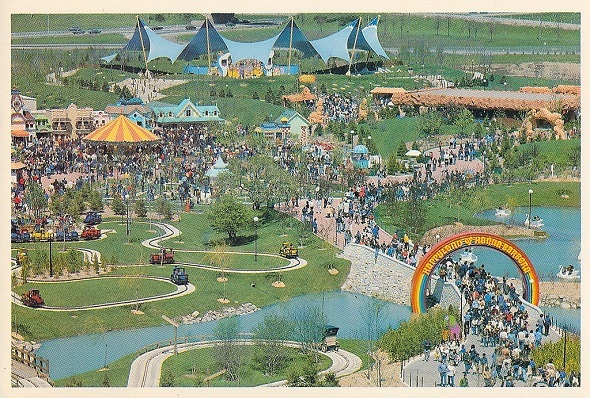 The hype was so great that expected attendance on day one was in the ballpark of 40,000 people. 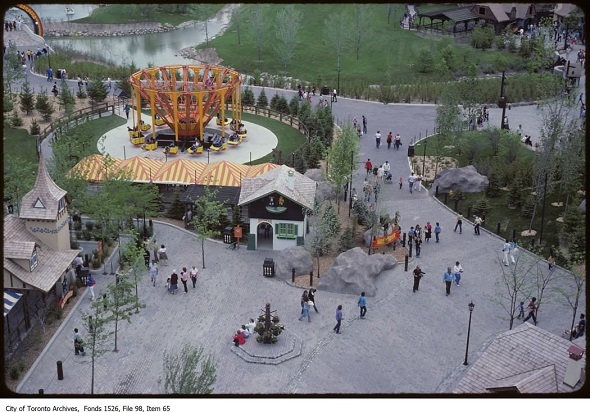 In actuality, only 12,000 showed up. 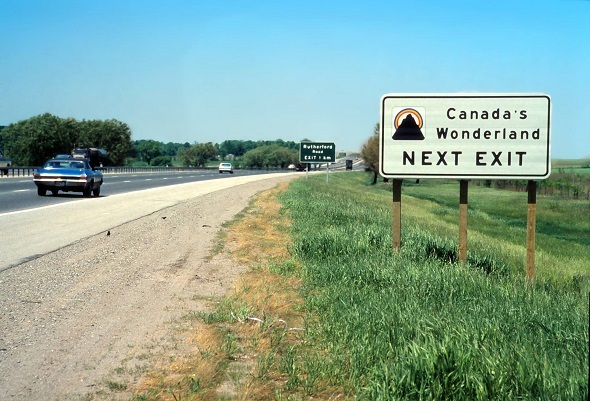 On opening day Premier Bill Davis opined on the majesty of great Canadian entertainment, Wayne Gretzky helped raise the Canadian flag, and guests including Bill Hanna and Joe Barbera mingled with mascots of their cartoon creations. 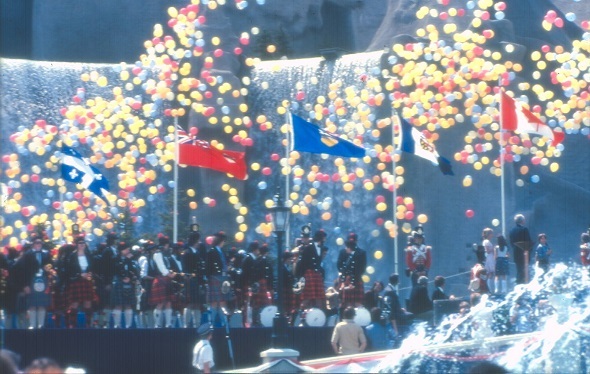 CBC's athlete of the year Kathy Sutton (née Cox, daughter of sculptor E.B Cox) arrived by parachute, just before 10,000 balloons were released and 350 white doves flew into the sky. 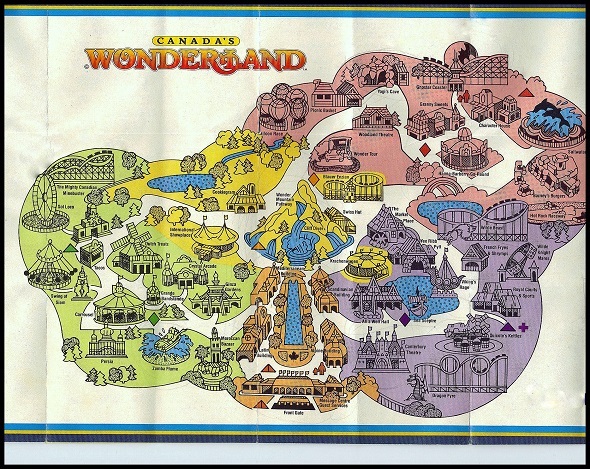 Wonderland had arrived in grand style. 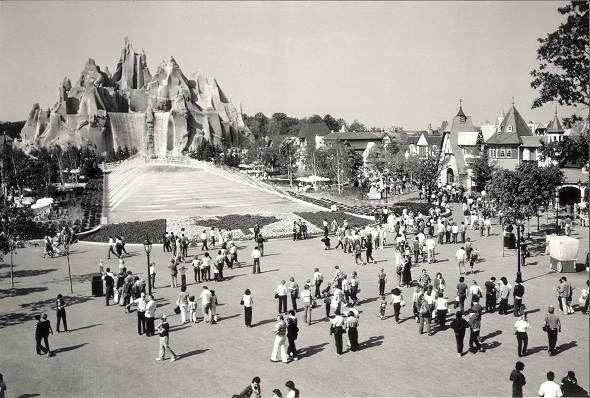 Both the Conklin family and Disney had rejected the city of Toronto as a suitable location for a theme park (owing to our sub-freezing temperatures that would sully profit for nearly half the year). 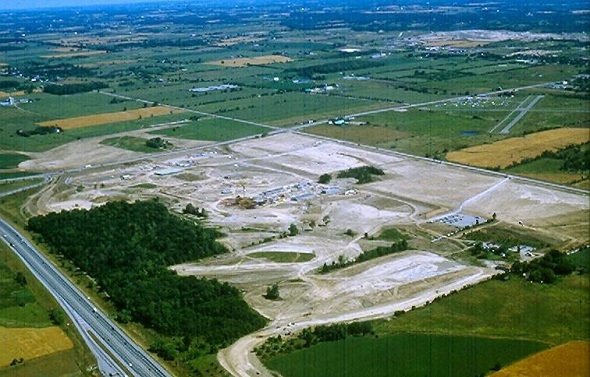 In the early 1970s, however, powerhouse media conglomerate Taft Broadcasting waded into the lucrative Canadian market, choosing Vaughan over other contenders such as Cambridge and Milton. 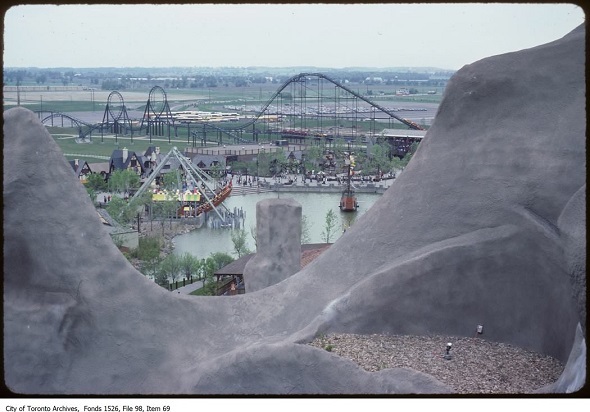 There was initial outrage that the Americans were using this big shiny theme park as a Trojan horse for coarse American culture, but that soon gave way to the more vocal crowd who wanted giant roller coasters and didn't care any about their geo-pedigree. 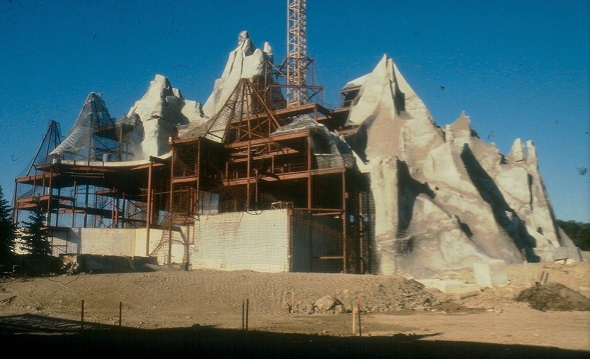 To be fair, Taft scrapped plans to install a replica Eiffel Tower at the centre of the park (as it had been in Wonderland's sister parks Kings Island and Kings Dominion), instead constructing a mighty "Canadian" mountain ("Wonder Mountain"). 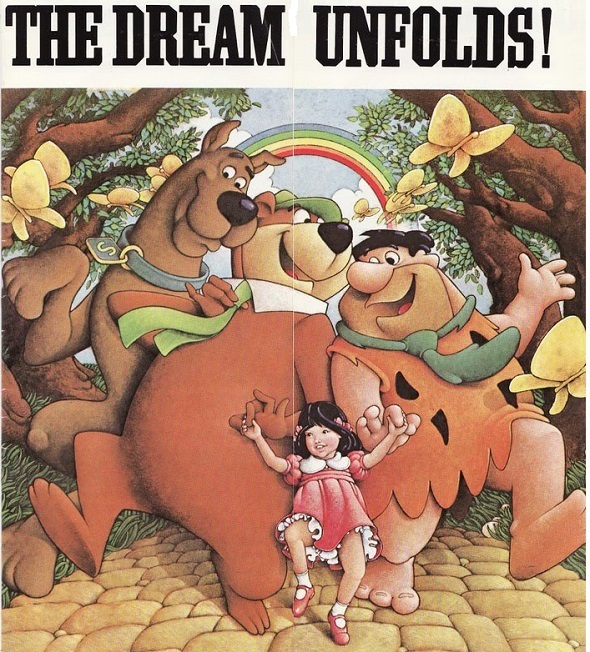 Taft also brought with them ownership of Hanna-Barbera, an animation studio whose roster included Yogi Bear, Scooby Doo, The Flintstones and The Smurfs - perfect characters to embody the spirit of the park and make it even more irresistible to legions of cartoon-watching kids. 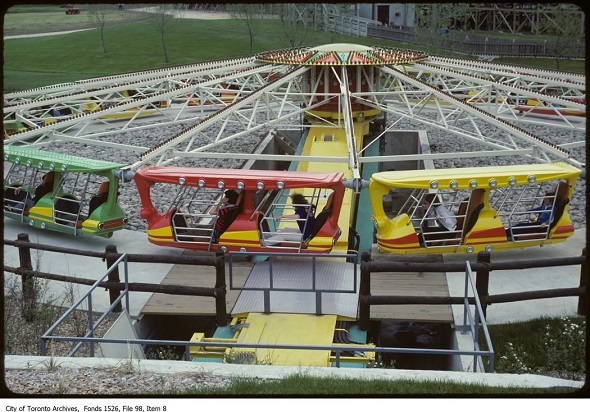 Original 1981 big boy pants rides included the Dragon Fyre (later Dragon Fire), Wilde Night Mares, the Mighty Canadian Mine Buster, Wild Beast, and the Rage (a swinging ship). 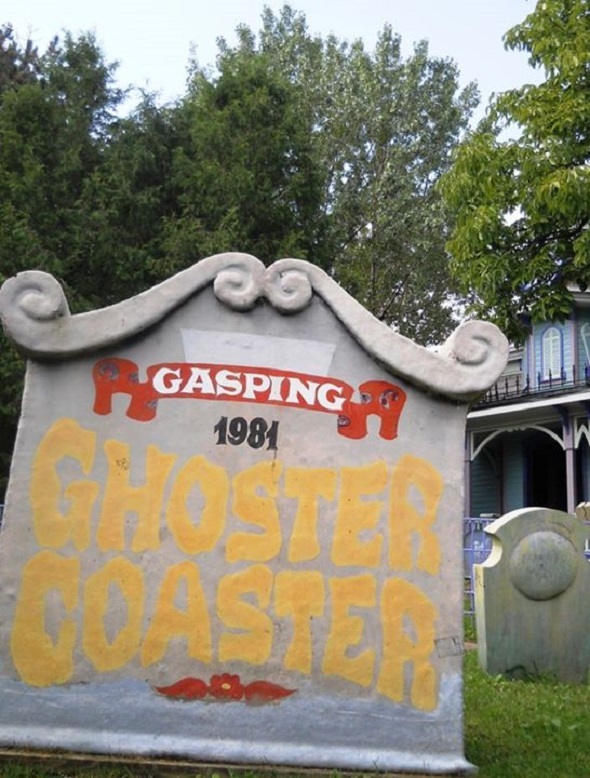 Junior rides included the strangely spooky Ghoster Coaster, and Thunder Run. 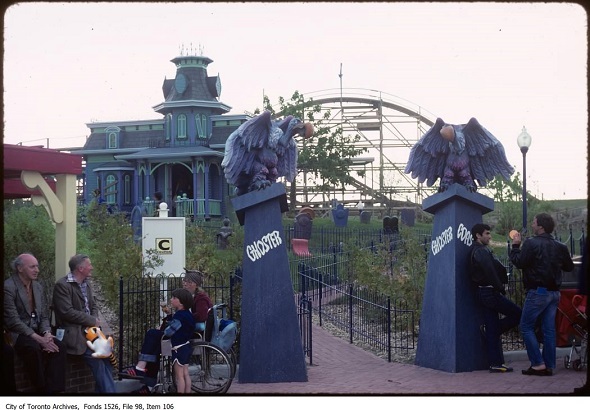 The gross food hit-of-the-midway was deep fried Broccoli, certainly a stimulating thing to eat before setting out on a corkscrew rollercoaster. 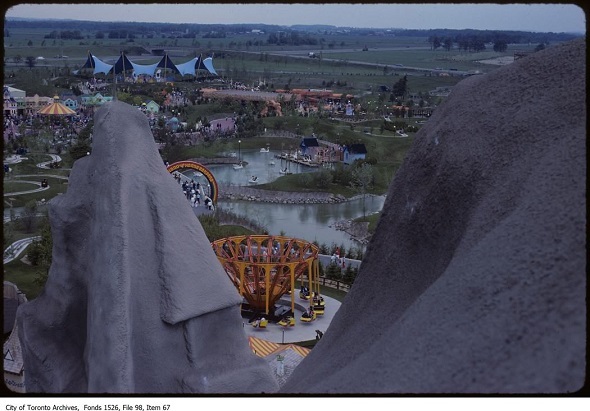 The children's area started out as "The Happyland of Hanna-Barbera", with three main areas including Yogi's Woods, Bedrock and Scoobyville (Yogi's Woods was converted to Smurf's Village in 1984). 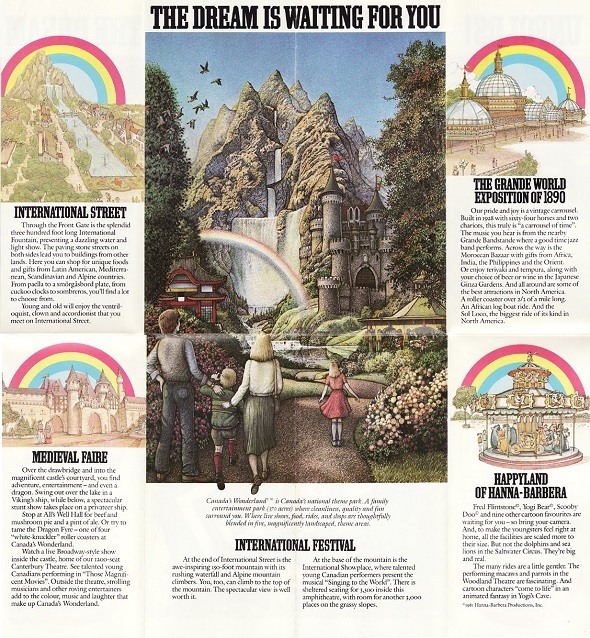 Families could also explore Medieval Faire, International Street, or walk to the very top of Wonder Mountain (sadly closed after a fatality in the early 1990s). 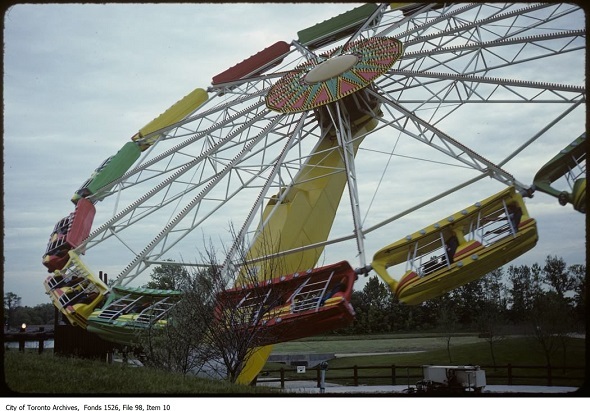 When asked to comment on what made Canada's Wonderland different from the perennial favourite the CNE, Wonderland's General Manager Howard Tate commented "we're different kinds of places but I'll say that this is a like a 1982 Cadillac. 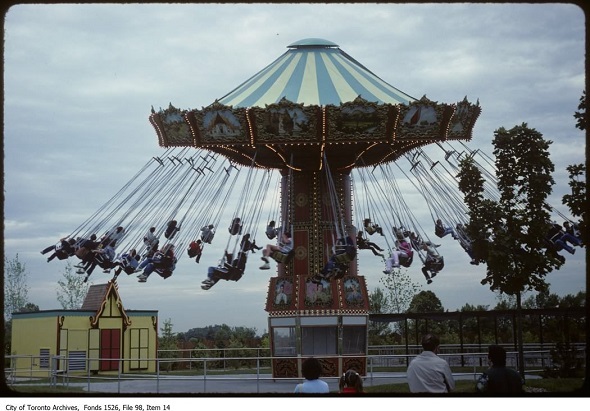 The CNE is a 1959 Ford". 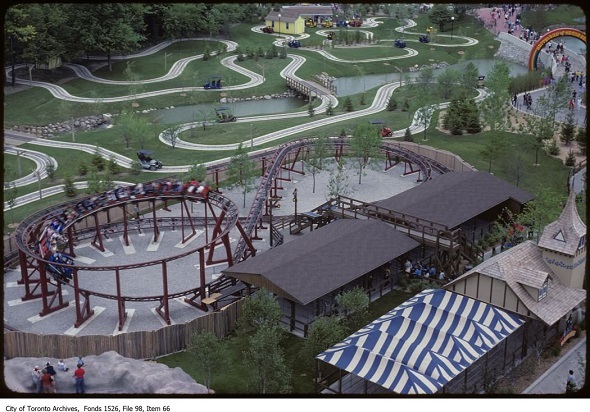 While Wonderland's first summer season successfully wound up, plans for the next year began to take shape, including the filming of an episode of CTV's enormously popular series The Littlest Hobo on the grounds of the park. 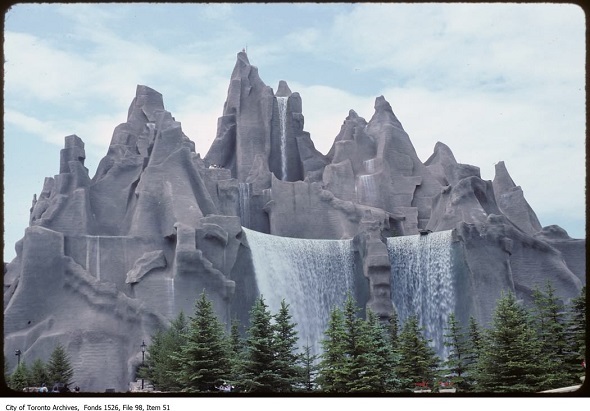 The episode "Forget Me Not" serves as one long commercial for Canada's Wonderland, and is probably the most Canadian thing you will see in a long time. 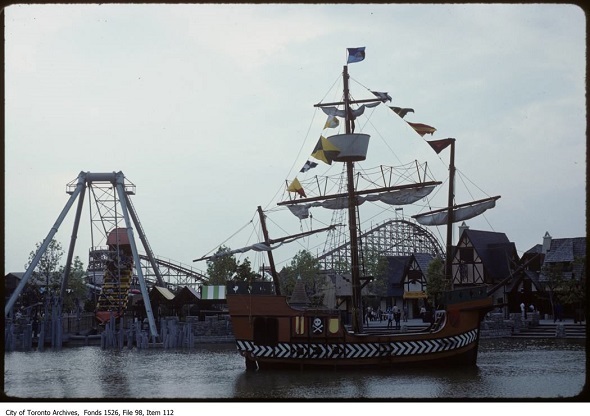 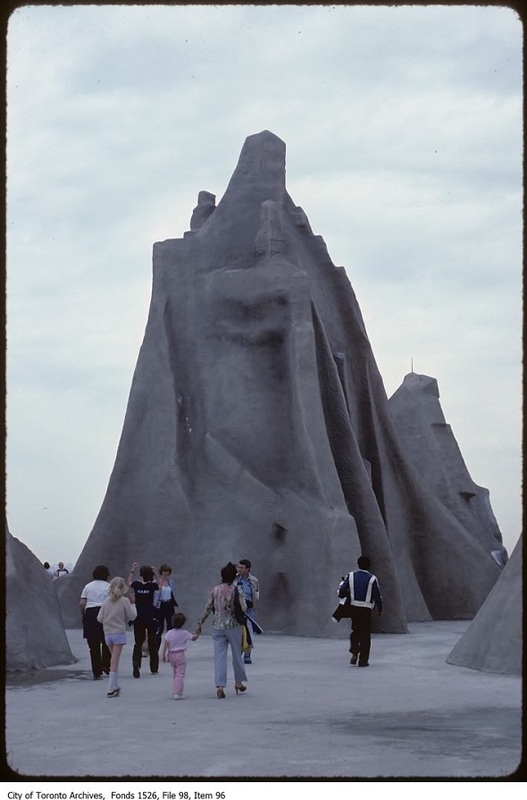 For those who were there when it opened, Wonderland was an utterly magical, indescribable place to visit: the CNE and Ontario Place would never be the same again, and the era of low key amusement parks such as Crystal Beach were effectively over. 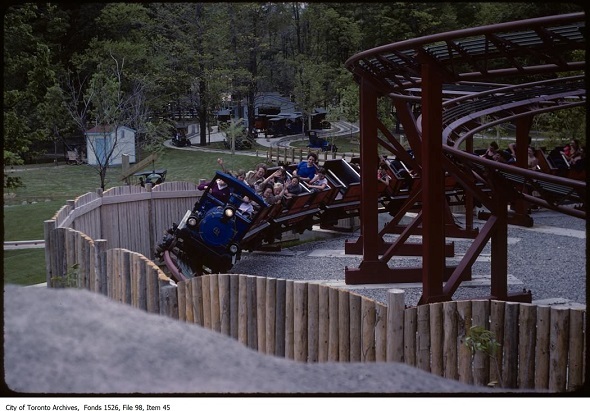 Wonderland has successfully evolved in quantum leaps over the last 34 years, adding bigger rides, flipping ownership several times and rallying with gusto to stay relevent during changing eras. 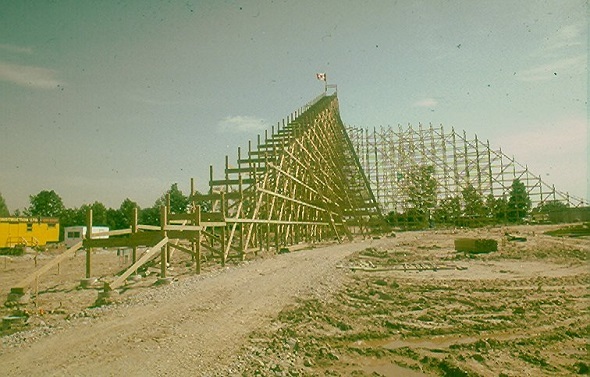 That said, it would be near impossible for them to ever match that wonder-full launch in the summer of 1981.